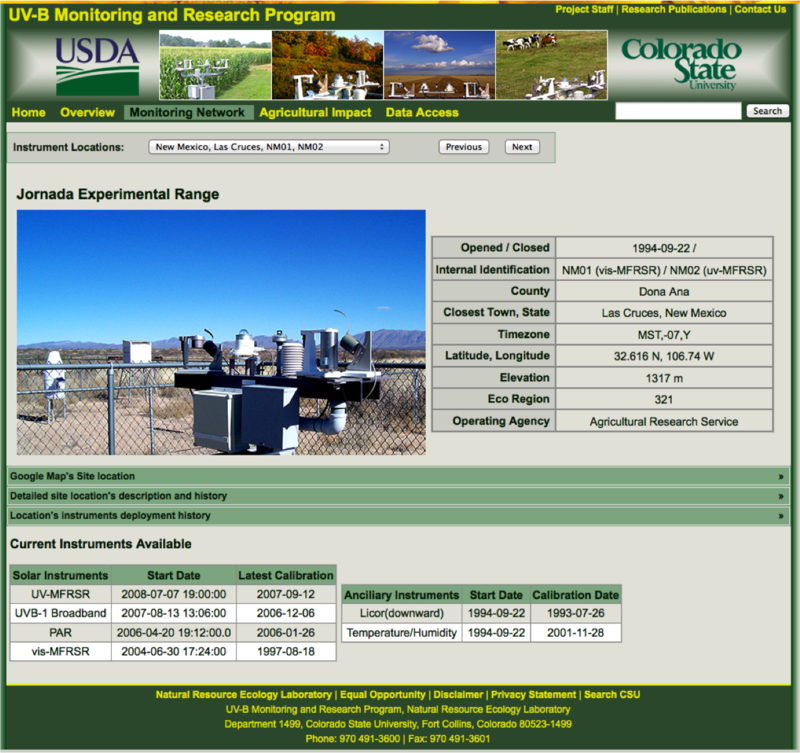 USDA, through the Natural Resource Ecology Laboratory at Colorado State University, is maintaining a network of sites for monitoring UV-B radiation. This network was established in 1994, and the Jornada is one of the original sites. The program's primary objective is continued operation of the 37 station national network of UV-B monitoring instruments to deliver high quality data, data products, and services in support of agricultural research describing the geographic distribution of UV-B solar irradiance, effects of increased or diminished UV-B on crops, native and invasive plants, and animals, and to facilitate the use of these measurements directly or as input to climate and crop models. Data is collected automatically every night, processed for quality control, and made available typically within one day of collection.